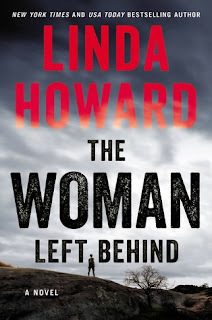 12/18/2018: Updated Book Task as completed; claimed The Woman Left Behind retroactively. 11/13/2018: Completed Tasks 1 and 3. Updated Book Task for possible books to read. Using book covers (real or virtual), create a close approximation of your country’s flag (either of residence or birth), OR a close approximation of a poppy. Take a pic of your efforts and post. "Hi! I'm the Penni Book Cover Poppy!" Make an offer of peace (letter, gift, whatever) to a book character who has particularly annoyed you this year. Tell us: What author’s books would you consider yourself a veteran of (i.e., by which author have you read particularly many books – or maybe even all of them)? I don't know if I'd consider myself a veteran of any author's books, but according to my reading lists and shelves, it seems like Jayne Ann Krentz (including her historical and futuristic alter egos, Amanda Quick and Jayne Castle, respectively) is the author of whom I've read the most works. I give a lot of this accomplishment to the previous two years when my main mission was to finish reading the Arcane Society and Harmony series, which both series together have a total of 23 books combined. 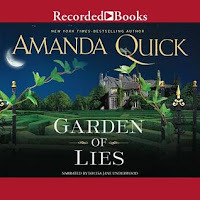 On the side, I've been happily inhaling Amanda Quick books. And this year, I had made a goal to read at least 12 Jayne Ann Krentz books--a number I actually ended up doubling during that time frame when I was trying to climb out of my reading slump. A close second (though not all that close) is Jill Shalvis--according to my lists, I've read about 32 of her works, including novellas and short stories as well. 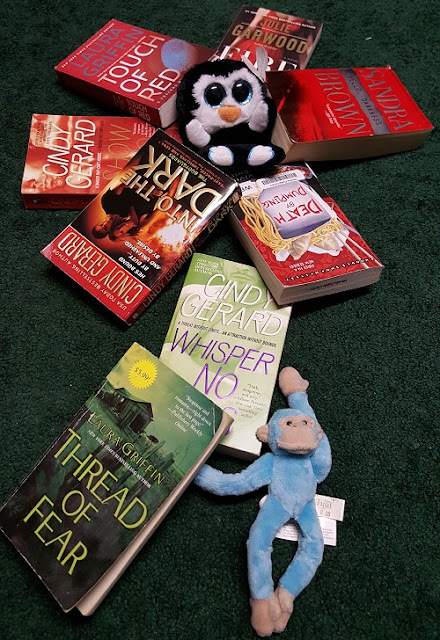 I'm also going to give a quick shout out to Laura Griffin and Cindy Gerard, both of whom I've been devouring books by since I first discovered them. I've probably read all of Cindy Gerard's romantic suspense books, and I've read all but a couple of Laura Griffin's work. I'm not feeling up for poppy seed cake. 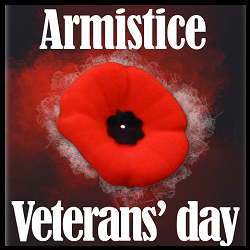 Read any book involving wars, battles, where characters are active military or veterans, or with poppies on the cover. Well, after some thought I decided to go ahead and claim The Woman Left Behind for this door. 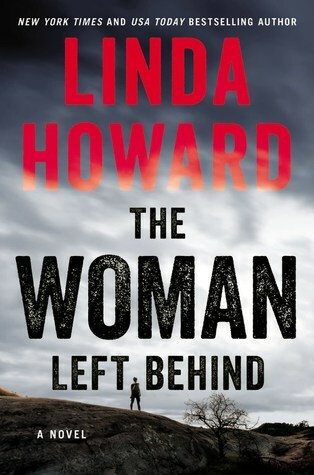 I finished reading this book on 11/11/18. I'd been wanting to read some more books before making my decision, but that's probably not going to happen. The characters in this book are part of a special ops, paramilitary unit, so I figure it counts. My review is linked above, via the book title.